Our YZB hydraulic power unit is commonly used to supply hydraulic source for power tong and its series. The power unit has the features of great reliability, wide adjusting range, convenient adjusting and long service life. It can also used in conjunction with other hydraulic equipments. Rugao Yaou Company is a China oil drilling equipment manufacturer. We can provide a complete line of drill rig parts, well cement tools, oil production tools, and so on. Located in Rugao, Jiangsu, we are surrounded by airports, ports, and highways. 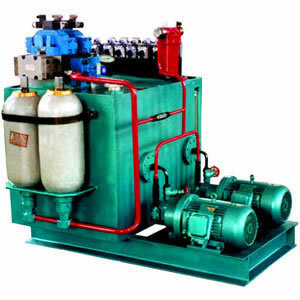 Therefore, we can quickly and cheaply transport our hydraulic power unit to global customers. Built on API 7K, with the certificate of authority to use the official API monogram. Our drilling rotary table conforms to the requirements of the industry standard SY/T5531. It uses spiral bevel gear drive, and has the features of high loading capacity, smooth running and long service life.